Coupons valid until February 16, 2019. Pick up starting February 10, 2019. May redeem multiple coupons per person. Open Monday to Sunday from 5:30 AM till 11:00 PM. Valid at Achrafieh branch only. Reservation required on 01 202 743, quote Gosawa coupon. Coupons must be printed. No carry over. VAT included in price. Standard terms & conditions apply. 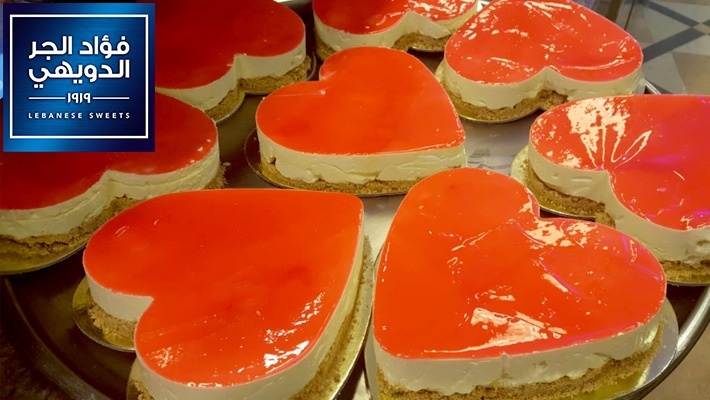 Surprise your loved one on Valentine's Day with a delicious treat! 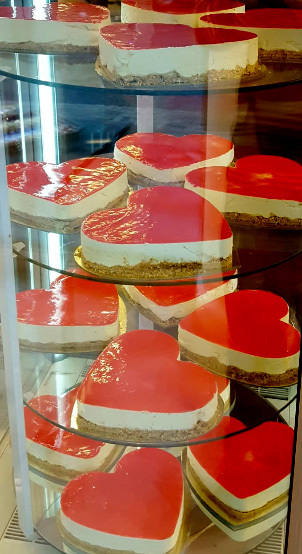 Benefit from 50% off this Valentine's Heart-Shaped Cheesecake from Fouad el Jer el Doueihy, only $9 instead of $18. 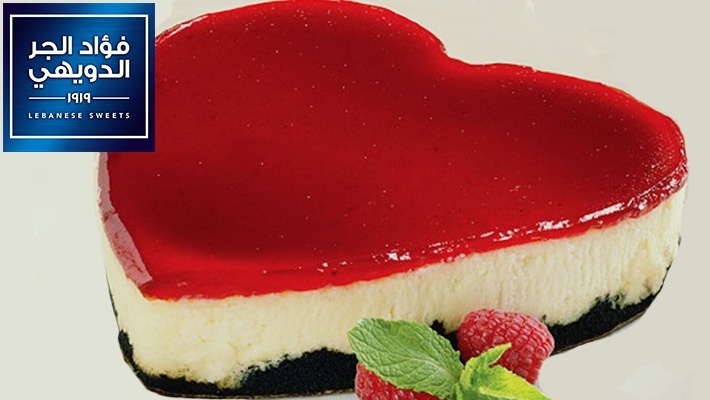 A mouthwatering dessert to enjoy with your other half! Fouad el Jer el Doueihy is one of the finest Lebanese sweets restaurants serving several delicious sweets including Baklawa, Kashta, Ma’moul and much more! Those trying to stay in shape can even find some tasty diet Baklawa!